Acacia cultriformis is also known as the Knife-leaf Wattle. 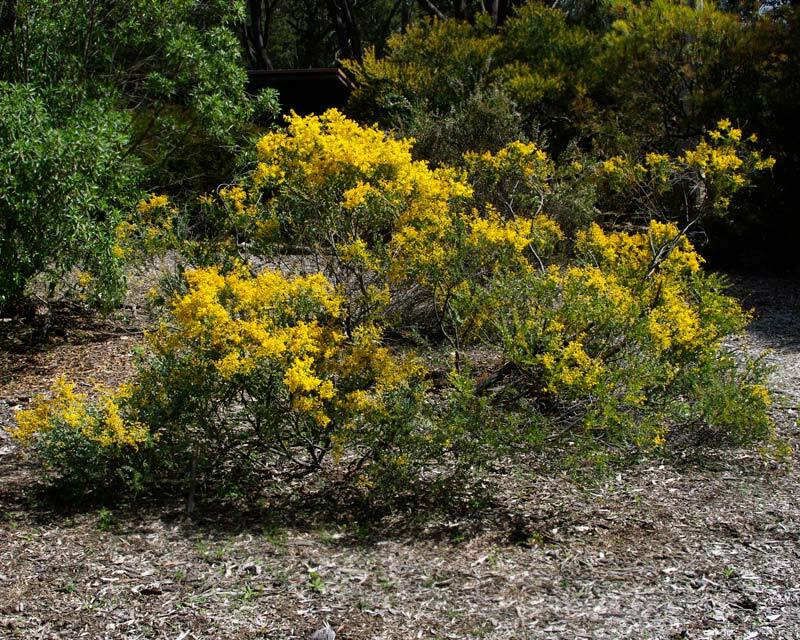 It is a medium sized shrub growing to 4m in height and 3m width. 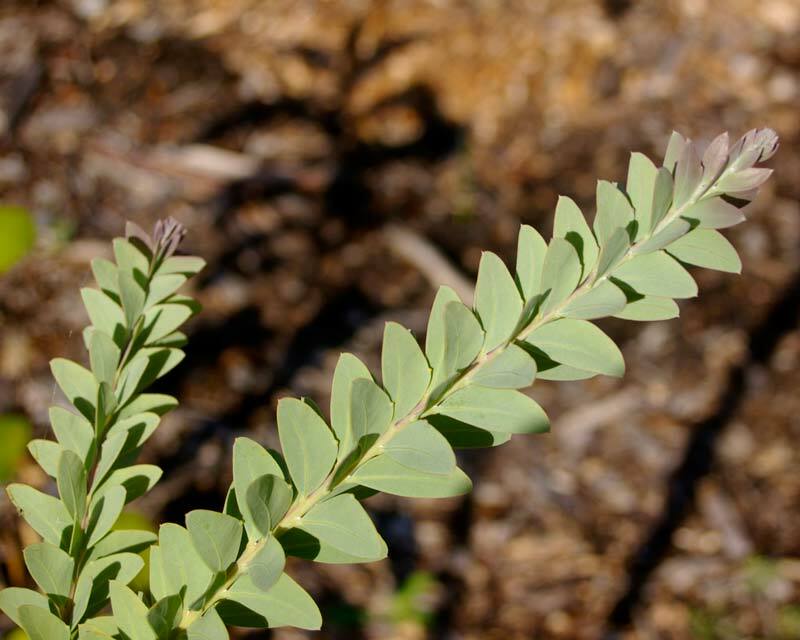 It is an attractive plant with unusual bluish-green knife shaped leaves and graceful drooping branches that is grown for its foliage as well as its yellow flowers. 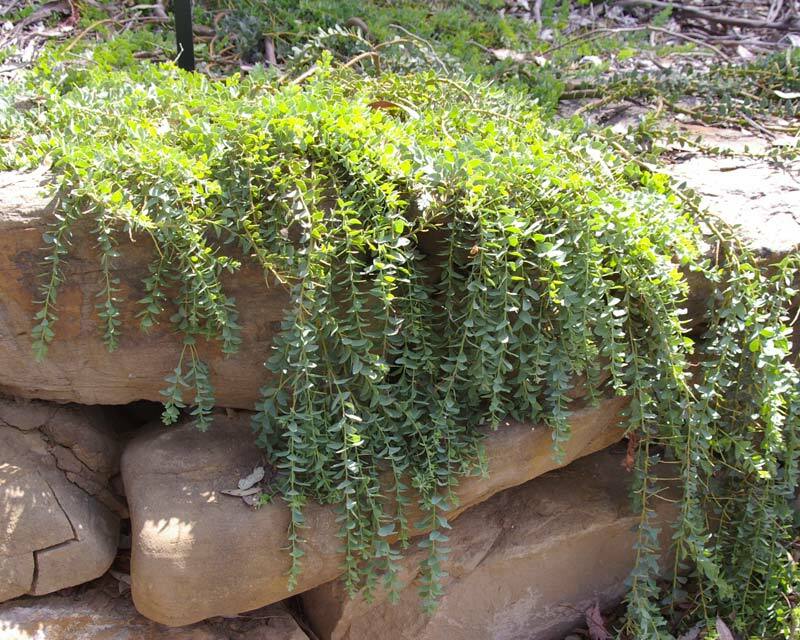 It is a hardy plant, requires well drained clay or sandy soil, full sun or semi-shade and once established it is drought and frost tolerant. Maintenance: Mulch well to prevent excess water evapouration. Plant responds well to the addition of fertilizer in spring. Prune to shape. 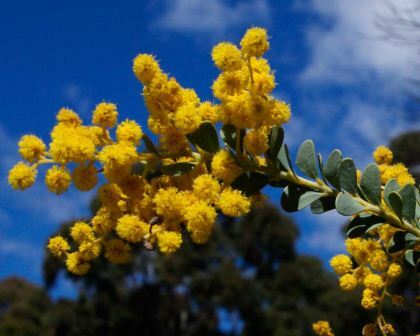 Raymond M Simpson - Orange, NSW: A question : Since the flowers are edible can the leaves be dried and use as the ingredients of a drink ,i.e. Acacia Tea , whose property is to stimulate the neurons of the brain into a harmless aurora in the mind which is not addictive?. Webmaster - Sydney: We can find no information about the edible nature of the foliage. The only reliable info is: "The flowers are edible and they are an ingredient used in fritters. 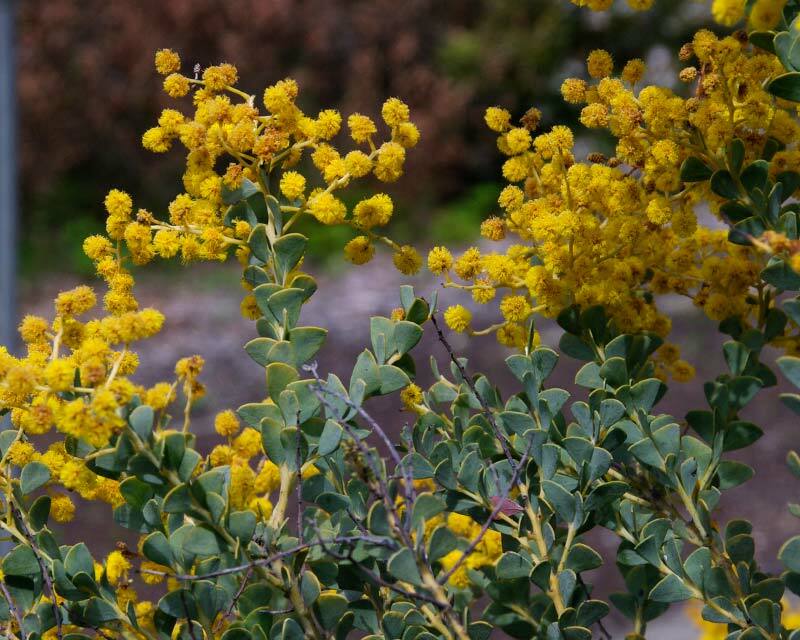 Yellow dye is made from the flowers and green dye is made from the seed pods." 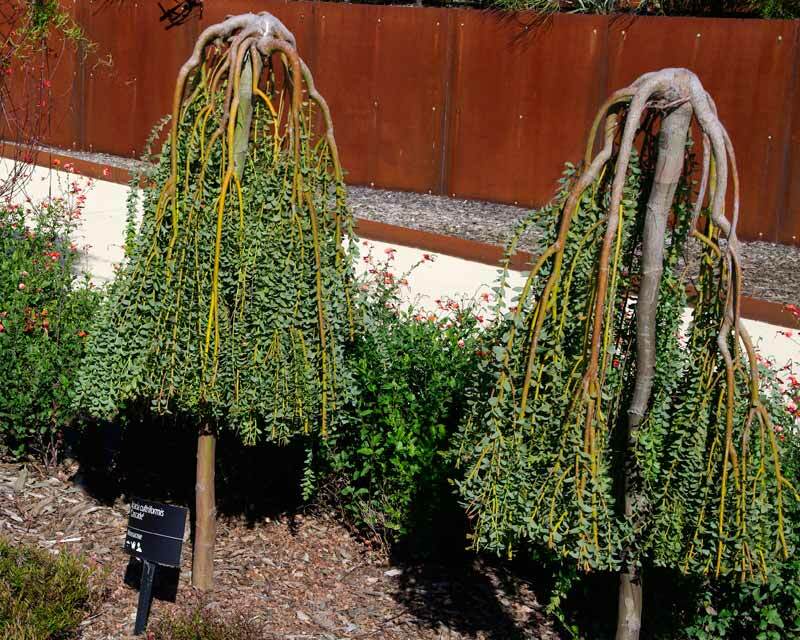 If you would like to try (in small doses of course initially and taking full personal responsibility for your actions) and let us know then we could then inform the rest of the internet..
PEPE - MELBOURNE: My Acacia Cascade the leaves are brown and dry I don't know how to help this plant get well. Appreciate you help. Webmaster - Sydney: Hey Pepe, I am sorry to say that once the leaves go brown then the plant has already entered the death spiral. Once a plant has no more ability to generate energy ( the chlorophyl in the leaves turns sunlight to energy) then its like the patient has stopped eating. You cant do anything more for it now..